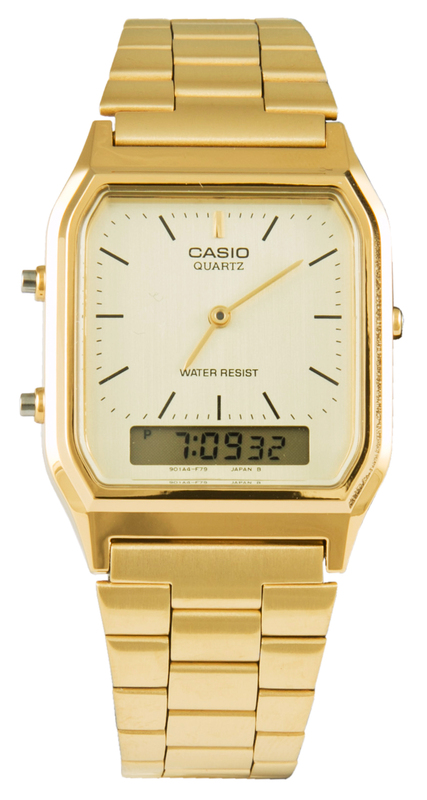 The cult brand Casio has a massive nostalgic appeal. 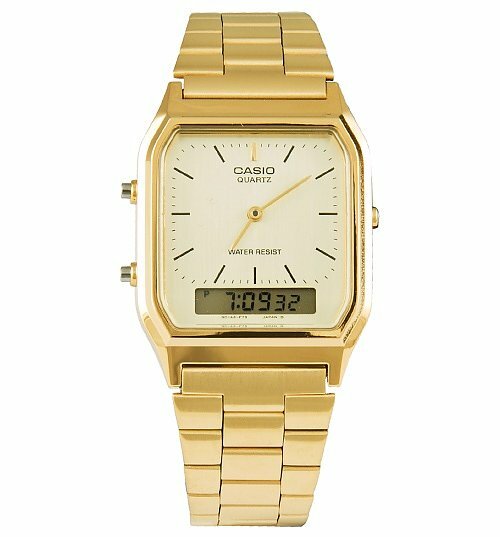 We loved flashing our Casios in the playground back in the day and this stunner is sure to attract a few admiring glances! 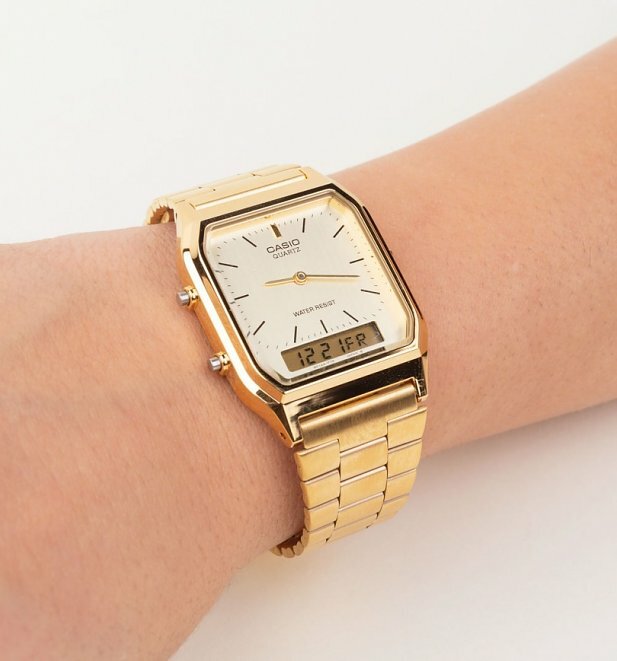 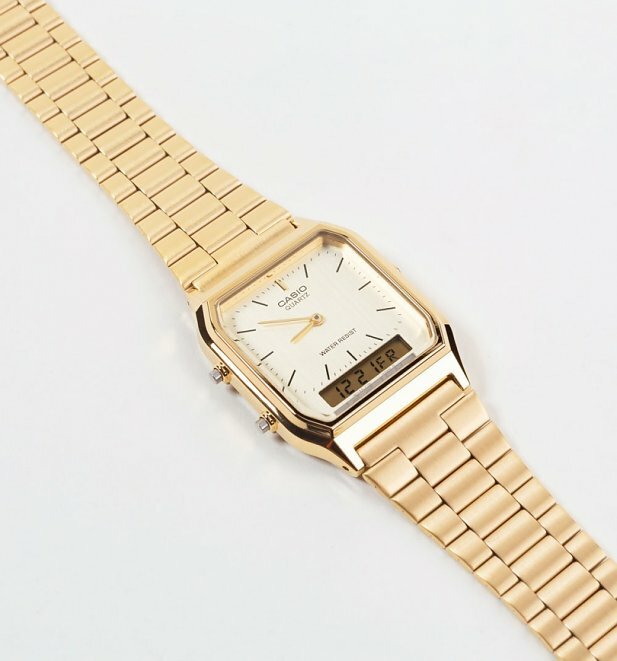 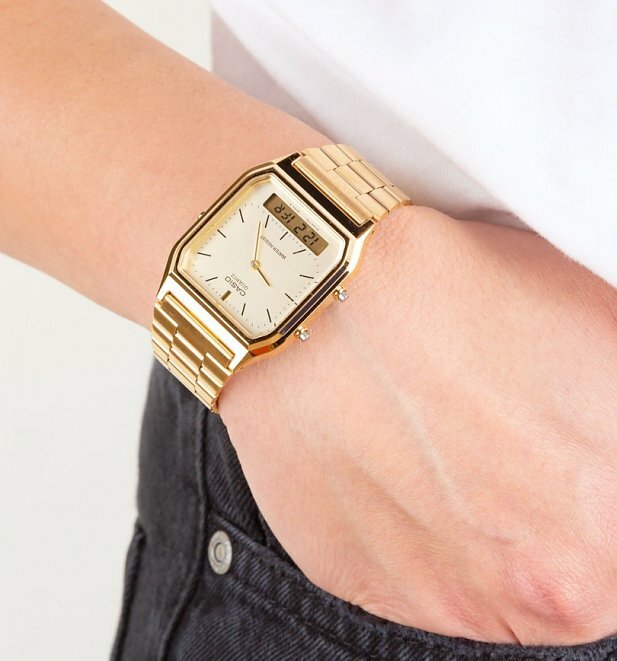 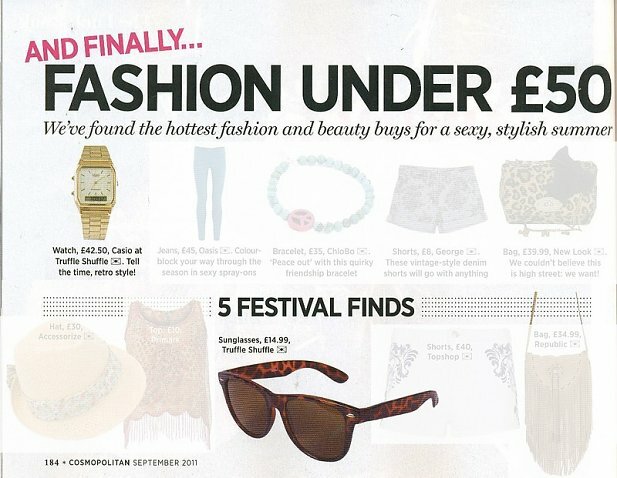 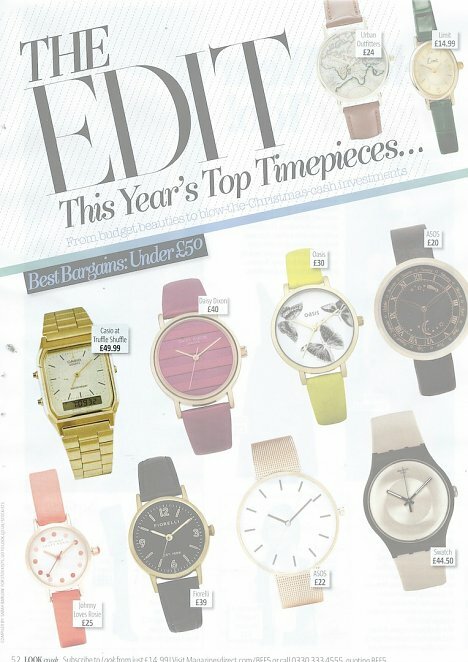 The dual time watch displays both digital and analogue dials and has a wicked vintage look! 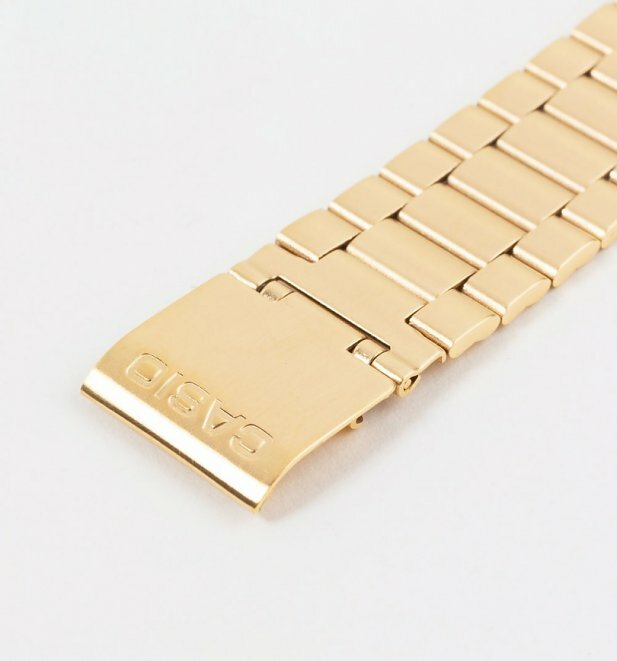 Finished with a Gold plated brushed steel bracelet.